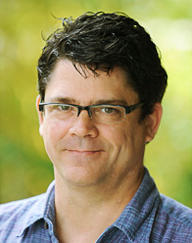 Richard Cullen Rath is associate professor of history at the University of Hawaiʻi at Mānoa. He teaches courses on early America, Native Americans, and the history of media and the senses. He is the author of How Early America Sounded and is currently working on two books, one an introduction to the history of hearing and the other comparing the rise of print culture in eighteenth-century North America to the rise of internet culture today. He has also written three award-winning articles on music, creolization and African American culture. In addition, Rath is a musician who has found ways to use music to “do” history whenever possible. Courses offered by Dr. Rath include: Early America HIST 461/632B, Native American history (HIST 460), Sensory history, Media history, U.S. Survey to 1865, Music as African American history, Senior thesis seminar, Creole Histories. “How to Read Hypertext: Media Literacy and Open Access in Higher Education,” in Making the University Matter, ed. Barbie Zelizer (Abingdon, Oxon; New York: Routledge, 2011), 186-93. “Hearing Wampum: The Senses, Mediation, and the Limits of Analogy,” in Colonial Mediascapes: Sensory Worlds of the Early Americas, ed. Matt Cohen and Jeffrey Glover (Lincoln, Neb. : University of Nebraska Press, 2014), 290-321. “Sensory Media,” in Cultural History of the Senses: The Enlightenment (Oxford: Berg, forthcoming). “Hearing American History,” The Journal of American History 95, no. 2 (September 2008): 417-31. 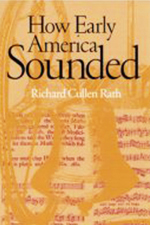 How Early America Sounded (Ithaca, 2003).